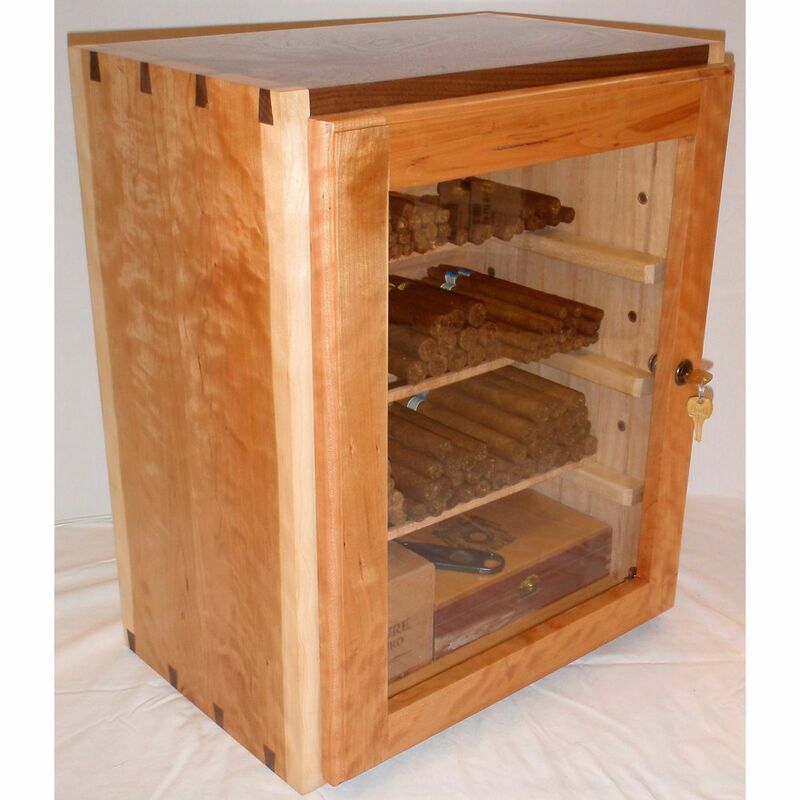 This humidor is designed for the REAL cigar connoisseur by someone who KNOWS cigars. 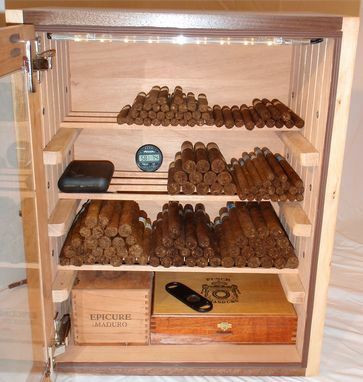 We grow tobacco, cure tobacco, make cigar molds, roll cigars, and craft the perfect humidor to store and gracefully age cigars. 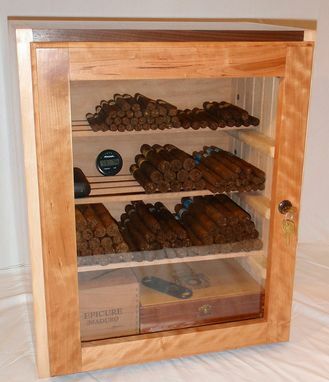 This style can be customized is nearly any size and with a wide range of woods; the one pictured here demonstrates our love of woods and our skill in crafting the ultimate humidor. 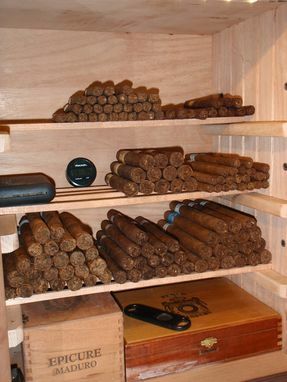 Ø	6 adjustable and slotted shelves for perfect airflow. 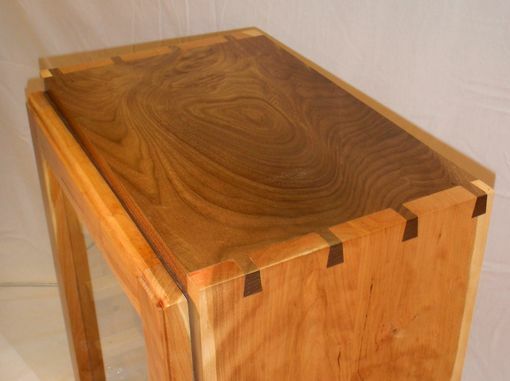 Ø	100% Spanish cedar lined. Ø	0.5W LED lighting that won't heat cigars. Ø	Digital Temp and Humidity monitoring. Ø	Passive 2-month-no-touch Paradox humidifier. Dimensions: Height = 20", Width = 16.5", Depth = 10.5"